Air India Express will increase the number of flights from the UAE to Kannur in the south Indian state of Kerala, which, the airline officials said, will reduce the high ticket fares to the popular sector. Effective March 31, the Kannur-Sharjah flight, which is currently four a week, will become a daily and there will be two more flights in the Kannur-Abu Dhabi sector on Mondays and Fridays, bringing the total flights to five a week, Air India Express CEO K. Shyam Sundar said at a press conference in Dubai on Tuesday. Addressing questions on high ticket fares to the recently opened airport, which caters to a large number of expats from the state, compared to the nearest airport in Calicut, Sundar said the expansion of the fleet will help the airline meet the demand, a factor he attributed to the reason for high fares. “There is no intention to penalize the passenger. This is due to the mismatch between demand and supply. We are addressing that,” he said adding that fares are expected to be “moderate” once the fleet is expanded. The airline also plans to launch and increase flights from Kannur to other GCC countries as well in the summer schedule. Currently Air India Express, the low-cost arm of India’s national carrier Air India, is the only airline operating from Kannur International Airport that opened on December 9. The inaugural flights to and from Abu Dhabi were packed with passengers who made their maiden journey a big celebration. Sundar said each flight from Kannur with a capacity of 186 passengers continues to operate with 175 to 180 passengers. The airline is also launching the first flight to Surat International Airport in the western Indian state Gujarat from Sharjah on February 16. The weekly two flights will be expanded to four per week in the summer schedule, Sundar added. 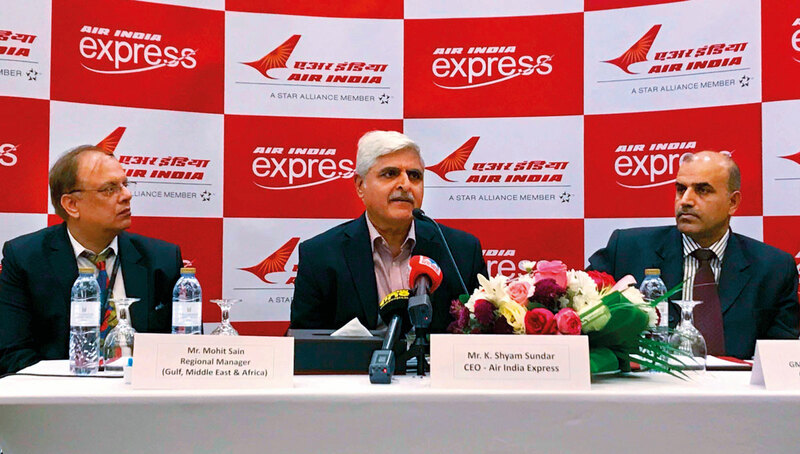 Mohit Sain, regional manager, Gulf Middle East and Africa for Air India and Air India Express, said the recent decision to unify and fix the freight charges for human remains to India has not impacted the airline’s policy of offering free service in the case of Indians in distress referred by Indian missions in the UAE. V.C. Venugopal, general manager, Arabian Travel Agency, the representative agency of the airline, said the airline is currently selling 300 to 400 online visas to the UAE.